We are committed to operating our business in a total quality environment, complying to ISO 9001. Therefore we strive for continuous improvement to maintain the needs of our customers. Our business is registered with FPAL / Achilles and the IADC. Among others, we also meet ABS, DNV and Lloyds Register's conditions of classification. As a result our materials are approved by DNV and other bodies whenever possible. In addition we also comply with various international standards as required by our clients. ISO-9001; a quality management system used to demonstrate commitment to quality when providing products and services to our customers. This means that our implemented processes and procedures continually improve productivity, reduce costs and increase customer satisfaction. As a result our customers return to us over and over again. Our Photoluminescent Low Location Lighting system is approved by the European Maritime Equipment Directive (MarED). MarED is the co-ordination group for the Notified Bodies assigned by the Member States. 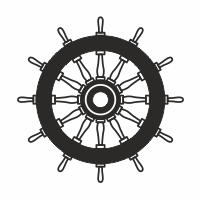 They carry out conformity assessment procedures referred to in the Marine Equipment Directive. "For over 75 years IADC’s accreditation programs have helped guide companies in their efforts to ensure comprehensiveness of training content and adherence to industry standards. Accredited providers are held to high quality standards to ensure that drilling industry personnel are properly equipped to perform their jobs safety and competently. Programs are developed and maintained by IADC members working through our technical committees." Lloyd's Register provide expert assistance across supply chains; from engineering and design consulting to certification and verification, assurance and inspection services. We are a third-party independent partner, with a long track record of projects successfully achieved for leading players from across the offshore industry worldwide." "Our independent, collaborative and neutral stance sets us apart within the procurement value chain and from other organisations. Achilles is dedicated to becoming the leading global provider of supply chain compliance and risk management systems that help buyers and suppliers reduce time, cost, and risk." 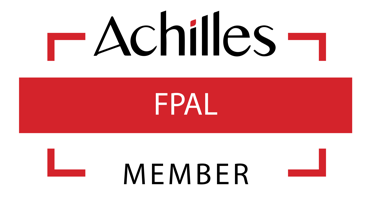 "Achilles FPAL provides a fair, open and transparent means of selecting suppliers for potential tender opportunities. Achilles FPAL helps oil & gas companies manage risk within their supply chain." "ABS is a classification society, with a mission to promote the security of life, property and the natural environment. This is done primarily through the development and verification of standards for the design, construction and operational maintenance of marine-related facilities." "SAP Ariba is the leader in spend management. We began with a mission to help companies control spending and cut costs by making it easier for buyers and suppliers to work together. Together, we are helping the world run better and improve people’s lives"